This latest collection from Off-White dubbed “Public Television” channels the images of a generation who grew up watching TV. Throughout the show, images of the ’90s & early 2000s rang true with the baggier styled jnco jeans, college & NFL football helmets, and an array of spray painted graphics. 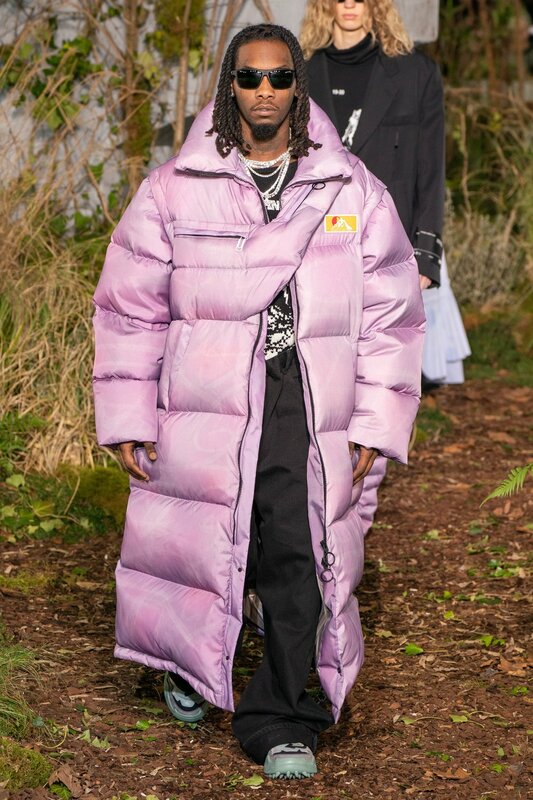 The collection boasted lilac, rich yellows, and a vibrant slime-season green throughout making it one of the more vibrant collections for F/W 19’. Featuring some of hip-hop’s biggest stars such as Playboi Carti & Offset, this latest collection from Virgil Abloh continues to push the pedal to the floor and prove himself to be one of the most polarizing personalities in the fashion industry. 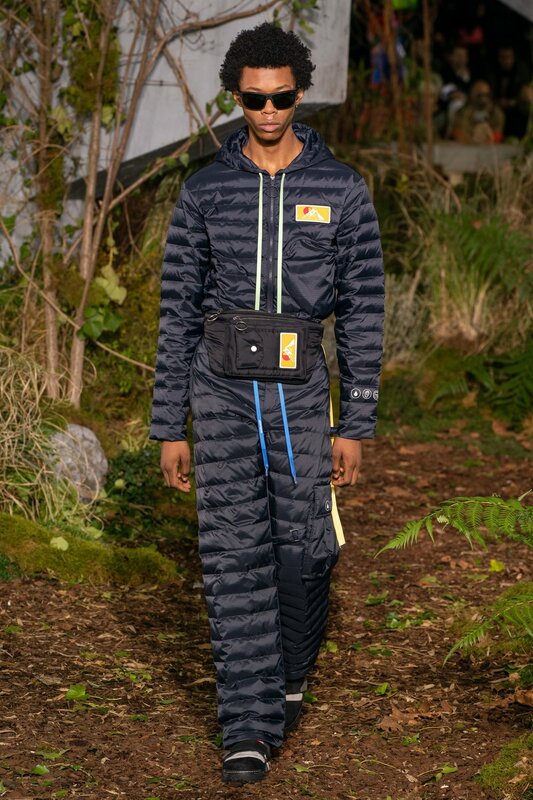 Some of the highlights of the collection had to be the down filled puffer trousers, the yellow Public Television all over print puffer jacket, and the variety of knit sweaters. 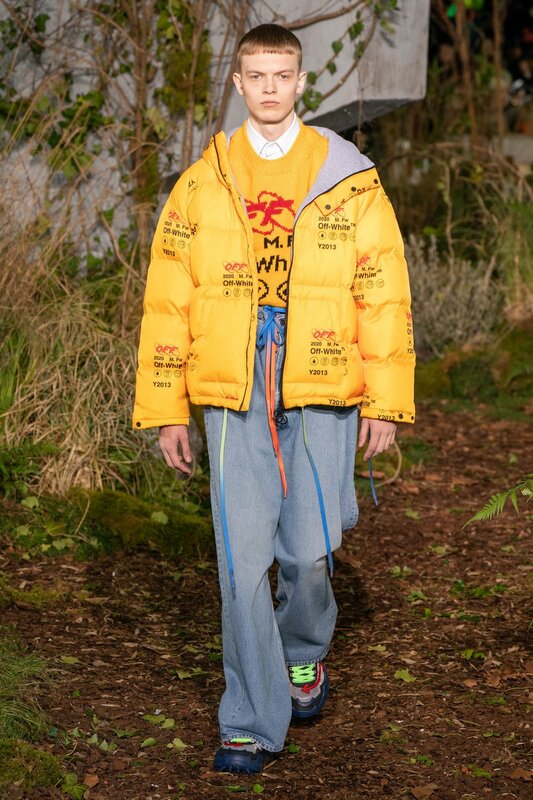 With Louis Vuitton’s second runway collection ahead for Abloh, you can bet that 2019 will be one of the biggest years for both Off-White & LV under his creative helm.